Lech is one of these famous resorts in the world that should be in your bucket list. A typical Austrian Alpine village, in the end of the road (at least in winter), at first you arrive, and you think there is a road through it, but you need to see what is on each side of the road. The town is small, as the local law does not allow it to expand- which is great as you feel in a quaint town. Lots of dotted houses and hotels are around the main road and into the sides, pretty much all are near the lifts. The furthest in the valley are around 600 meters from the lifts, but there are free buses to go back and forth. The Omeshorn towering the picture perfect town of Lech – Lech Zürs am Arlberg by night by Felder- Lech Zürs Tourismus. Must-Read Guide to Lech. Buses also connect you hourly with St Christoph and St Anton. But you can also access them via the Flexenbahn gondola since the season before last. The Flexenbahn links Zürs and Stuben/Rauz. Skiers and boarders can go anywhere in the Arlberg on skis and snowboards. The ride takes 6 minutes with panoramic vistas from the gondolas, to the Klostertal valley and St Christoph. The addition of the Flexenbhan made the Arlberg the largest ski carousel in Austria and one of the 5 largest ski areas in the world. On top of the Flexenbahn, three other cableways have started operations on the winter of 2016/17 – the Trittkopf cableways I, II and the Aldonabhan cableway II have cemented the Arlberg as a bucket list destination. You can easily get to Lech from the main airports in central Europe, such as Zürich (196 km) in Switzerland, Munich (248 km) and Friedrichshafen (128 km) in Germany, Innsbruck (120 km) and Salzburg (294 km) in Austria. You can take the train from these airports and go to Langen am Arlberg train station, which is 15 km from Lech (if coming from Zürich or Friedrichshafen) and take a taxi from there or the local bus – check the times, the buses runs once an hour or every two hours, depending the time of the year. The other nearest train station is St Anton am Arlberg Railway Station. All those visitors coming to Lech from the east can use either Langen or St Anton. In St Anton there is regular bus service until before 22.00 – once or twice an hour, and there is a wider range of taxi options – estimate to pay EUR 58.20 during daytime and EUR 78 at nighttime for one way to Lech. Der Lercher is an excellent taxi company that pick you up in comfortable vans. The more deluxe hotels have their own transfer service – contact them in advance to arrange it. Lech Zürs am Arlberg- Buerstegg – Photo by Sepp Malla. Lech Zürs Tourism Office- Must-Read Guide to Lech. Lech is a place that will make you slow-down and enjoy being amongst mountains. The beautiful Omeshorn attracts your eye, the typical mountain that stands alone and that you see from everywhere in town. This quaint town cannot be developed further. This fact, plus the majestic mountains, the cozy hotels and chalets dotted at both sides of the main road, all makes you stop and absorb the nature around you. What else? For me it was going there and meeting the true locals, those whose families were the visionaries to develop the resort and that have been working every year to make what Lech is today, a mecca for skiers, but a small place, where you will never feel overcrowded, a small luxury spot in the world. Some powder lines look perfect, one next to the other. Photo: Sepp Mallaun. Lech Zürs Tourismus. Must-Read Guide to Lech. The Arlberg is known as the ‘cradle of Alpine skiing”. It was in the 1920’s that Ski Arlberg pioneer Hannes Schneider taught the “Arlberg technique” which was developed by himself and today is known as the “stem christie”. All over the world the “telemark turn” was still being taught, and Schneider revolutionised the ski teaching all the way from Japan to America. This is still taught today. From being the ‘cradle of Alpine skiing’, the Arlberg and especially Lech grew up to be one of the top ski resorts and winter destination for the European royalty. The sun is coming down in Lech – Photo: Hans Wiesenhofer. Lech Zürs Tourismus. Must-Read Guide to Lech. The community of Lech of around 1,465 inhabitants occupies an area of 90 km2 on a 1,450-1,717 m high plateau. Until the Flexen Pass was built between 1895 and 1900, the mountain farmers who lived in Lech were cut off during the winter. Lech is the name given to the river – appeared as “Licca” in a document dated 642 AD. There are traces of people being active in the area or migrating through it in the Middle Bronze Age. Rhaeto Romanic rivers names such as “Flexen”, “Gampa”, “Zürs”, “Pazüel” and “Monzabon” point to early cultivation and hunting. The Flexenbahn has connected all the Arlberg region. Photo: Ski Arlberg- Lech Zürs Tourismus. Must-Read Guide to Lech. In 1059 AD, Emperor Heinrich IV gave a large hunting area around the Widderstein to the Bishop of Augsburg and the area remained in the ownership of the church until 1814. The people that settled in the valley came before the 1300 from the Valais canton in western Switzerland and were called the Walser people. They’ve stayed long term in the countryside along the young river Lech. Because when they came, they found many fir and spruce forests, they named the area “Tannberg am Lech” (tanne means a fir tree and Berg a mountain). Three skiers are getting ready to hit the slopes in Lech. Photo: Peter Mathis. Lech Zürs Tourism Office. The Must-Read Guide to Lech. The Walser people stayed and got the land as a fiefdom from the Swabian lords of the manor in exchange for a low natural interest. The idea was to persuade them to settle in these mountainous regions. During the Napoleonic wars, Tyrol and Vorarlberg had to be ceded to the Kingdom of Bavaria by 1814. The skiing arrival created a sudden economic upturn. As early as 1906, the first ski courses for locals were established in Zürs by Viktor Sohm. By 1920, Zürs’ economic began to grow suddenly. By 1923/24 the first group ski courses for guests were held. In 1937 the first drag lift in Austria was built in Zürs. Lech was developed soon after, but the economic boom stopped with the global economic crisis of the 1930’s and the Second World War. From 1949 onwards, the international tourists started to arrive again, and this was followed by lots of building. Lech got very well known internationally mainly due to many top sports people coming from the area. From chic boutique, sports shops and shops where to get some local produce, you will have lots of choice in Lech. The Strolz shop next to the Arlberg hotel looks more like a 5 stars hotel’s reception than a ski shop. There you can go and rent your skis or snowboards prior to go skiing. Lots of expert skiing awaits at Lech. Photo Sepp Mallaun – Lech Zürs Tourismus. The Must-Read Guide to Lech. Even if you want to do something else on top of skiing or boarding, or you are one of those that would not go skiing or boarding even if someone pays for it, don’t despair! As a beautiful site and a natural playground, there are lots of things to do in Lech. Ice-Skating: There is an air-conditioned hotel ice rink in the Hotel Jagdhaus with a 300 square meters of artificial ice for ice skating or ice curling. Zurs down the road offers a skating ring where you can skate, play hockey or alpine curling. It is next to a cozy heated chalet offering hot drinks and good music. Horse-Sleigh ride, all warm up under some blankets and allowing you to absorb the lovely landscapes around you. Snowshoeing: Use the same trails as for winter hiking and stop in the way in a nice hut for a lovely cuppa. Every Monday and Wednesday there are guided-torch snowshoeing hikes. They start at 4 PM. The meeting point is at the Skibex Hotel Sursilva Lech. Adults pay EUR 45 per person and kids under 18 years EUR 31 per person. Snowshoeing at Lech Zürs am Arlberg. Photo by Christoph Schoeche. Lech Zürs Tourismus. The Must-Read Guide to Lech. Cross Country Skiing: 27 km of trails are guaranteed for traditional cross country or the skating variety. Tobogganing: The Oberlech-Lech toboggan run offers you a 1.2 km winding road through the forest of Lech and it has so many twists and turns, plus the last station will cause adrenaline levels to skyrocket! In Zürs there is a small trochanter for little kids. This one is located above the kids’ land in Zürs and it opens during the same hours as the kids land. Visit museums- there are many, from the Huber Hus, the Walsermuseum, the Kästelmuseum, the Hall of Fame. A visit to Skyspace Lech: opening this winter, is a is a cooperative project of the Häusler Contemporary Gallery with James Turrell. During his visit to Lech in September 2014, Turrell was fascinated by the unique high mountain landscape and chose the “Tannegg” site in Oberlech as the best place for a very special underground skyspace. The “Tannegg” is a small hill above the top station of the Schloßkopfbahn, which is easily accessible by a hiking train in the summer and winter and also from the ski run to Oberlech. At 1,780 meters it offers a spectacular panorama. More info: https://www.lechzuers.com/skyspace-lech. Freerider enjoying all the terrain in Lech Zürs am Arlberg. Photo by Sepp Mallaun – Lech Zürs Tourismus. The Must-Read Guide to Lech. The combined Arlberg has 305 km of ski runs, 200 km of high alpine deep snow runs and 88 lifts and cable cars. Plus, there are lots of rustic huts and Alpine refuges to stop for a bite. The free local and ski buses always are convenient if you don’t want to ski from one place to the other and you want a ride to your accommodation. “The White Ring” is the legendary ski circuit is a must do: 22 km of ski slopes and altitudes of 5,500 meters on the circuit. A skier freeriding in the extensive area of Lech Zürs am Arlberg. Photo by Sepp Malla. Lech Zürs Tourismus. The Must-Read Guide to Lech. The White Ring race is a cult race attracting professionals and amateurs alike. It is considered the ‘world’s longest ski race.’ The record is still held by former racer and owner of the Montana Oberlech Patrick Ortlieb with the time of 44:35:07 minutes during the first White Ring race. But not all is for the tough and those with endurance. Lech can be enjoyed by all types of skiers and boarders. If you are a beginner: Head to Weibermahd, Oberlech, Schelgelkopf or Petersboden. Intermediates will enjoy Steinmähder and Zürs. Advanced can go to Madloch and Langer Zug. Experts have “Skiroutes” as Osthang and Südhang. Lots of expert skiers like going to Lech for all the terrain the Arlberg offers. Lorraine Huber, one of the top stars of the scene who took Freeride World Champion 2017, prefers to train in her hometown of Lech. All ski schools below offer mountain guides. Lech Zürs is the only resort in Austria to offer packages for heliskiing. You can choose between two spectacular peaks: the “Mehlsack” summit is idea for experienced skiers, while the “Schneetäli-Orgelscharte” is recommended for intermediate skiers – and is particularly attractive in the spring on the hard pack snow. Heli skiing packages are for up to four people including the ski guide and can be booked directly through the ski schools of Lech and Zürs. Heli-skiing at Lech Zürs am Arlberg. Photo by Sepp Mallaun. Lech Zürs Tourismus. The Must-Read Guide to Lech. Those youngsters preferring the park would be happy at the Snowpark Lech. Lech Snowpark is a mecca for snowboarders and freestylers. It opens in the beginning of December, offering 17 obstacle courses covering an area of 36 hectares, which are prepared daily and divided into Fun Run, Rail and Pro lines. There are options for beginners, advanced and professional here. The Fun Run has easier obstacles and is right for beginners. Those seeking a thrill will find the challenging Pro line fits the bill. The “Close to Heaven” freestyle competition, where the best freestylers compete, takes place each year in March and is a fixture in the diaries of all freestylers and snowboarders. Arlberg Ski Club – Photo by Sepp Mallaun. Lech Zürs Tourismus. The Must-Read Guide to Lech. Here is a list of the different ski schools of Lech – All are good, and I guess what would make you decide is which one is closest to your accommodation for their meeting point! Ski school Oberlech – Photo by Sepp Mallaun. Lech Zürs Tourismus. The Must-Read Guide to Lech. Kids’ club Lech-Zürs-Oberlech: for kids up to 5 years old. Snow, play and ski Lech kids’ club: Skiing children that are potty trained – children aged 3 to t.
or downloading the App store on your mobile. With CheckYeti you can prebook your ski lessons in Lech. The “Run of Fame” is Arlberg Ski circuit with 85 km of downhill runs, and an overall vertical drop of 18,000 meters. The Hall of Fame is a unique monument to the legendary Arlberg celebrities. It has been built at the Flexenbahn cable car mountain station. Not to miss: Skiing “The White Ring”, the most legendary ski track in the Alps. It will take you from Lech to Zürs to Zug and Oberlech. For skiers it represents half a day challenge with about 22 km of ski pistes, 5,500 m in difference of altitude and a sightseeing tour of easy to middle-difficulty slopes with viewing platforms at the Rüfikopf and Madloch. You see the distinctive Omeshorn and you know you are in Lech. Photo by Sepp Mallaun. Lech Zürs Tourismus. The Must-Read Guide to Lech. – Strolz- Renta a Ski, ski service, rental and lockers – Ski-Service Strolz. The Ski Club Arlberg posing for a group photo. Photo by Peter Mathis. Lech Zürs Tourismus. The Must-Read Guide to Lech. -Ski rental and service Marco Ender – Hotel Rote Wand. The town of Lech from afar. Photo by Josef Mallaun. Lech Zürs Tourismus. The Must-Read Guide to Lech. These are our recommendation of good spots for eating on the mountain. A freeskier enjoying the powder snow at Lech Zürs. Photo by Sepp Mallaun. Lech Zürs Tourism Office. The Must-Read Guide to Lech. Lech Zürs am Arlberg. View of Lech- Photo by Sepp Mallaun. Lech Zürs Tourismus. The Must-Read Guide to Lech. The Aurelio’s Gourmet Restaurant is a treat to your senses. Try the Griggeler Stub aim Burg Vital Resort as well, the Post Stuben (at the Gasthof Lech), the Berghofstüble at the Berghof Hotel, and the fabulous Kaminzimmer at the Kristiana. If you would like to have a relaxing time in the mountains, with lots of summer activities, life at a leisurely pace, having lots of places where to eat and enjoy the vistas, look no further. From hiking, to mountain biking to golfing, all is accessible for everyone! A climb with a view- Summer in Lech Zürs – Photo by Hanno Mackowitz- Lech Zürs Tourismus. The Must-Read Guide to Lech. This is great if you are planning to stay in Lech for more than 2 nights – you can buy a Lech Card for stays from just 3, 7 or 14 days. It grants you free travel on the cable cars and lifts, free travel on the local Lech bus, free adventure program for kids up to 14 years old, including geo-coaching, scuba diving, children’s climbing and canyoning; and guided walks for the young and old. This card also offers discounted leisure activities such as relaxing in the forest swimming pool, going to the Walswermuseum and Huber Hus museums. Gruner ring or the Green Ring: is one of the themed trails in Lech during the summer – this trail allows you to have magnificent vistas of Lech and its mountains and it has three stages that gives you an insight into the modern mythology. The trail passes by lakes, through valleys to waterfalls and up to high Alpine terrain such as the Madlochjoch. The routes have different levels of difficulty, with something for both casual walkers and more ambitious and experienced hiking enthusiasts. There are lots of cycling trails in the summer around Lech and Zürs. Photo by Hanno Mackowitz. Lech Zürs Tourismus. The Must-Read Guide to Lech. This themed trail was designed by sculptor Daniel Nikolaus Kocher and the writer Daniela Egger. Kocher has created inspiring installations and figures while Egger has written enthralling stories. Geographical features, field names and mythical creatures served as an inspiration to them both to populate the mountains of Lech Zürs with mythical creatures. The legends of the Green Ring lead the way through previously unknown, interesting and unusual areas that are often difficult to spot with the naked eye. The artworks and carefully selected resting places help hikers to sharpen their senses for the hidden beauties found in the Lech Zürs region. The mixture of literary delights and outdoor sculptural installations are a source of wonder to everyone, big and small, young and old alike. Gasthof Lech: I’ve written already a post of this hotel – a 5* Relais and Chateaux, on the main road of Lech, owned by the Moosbrugger family. Very charming hotel, visited by different royal families in Europe, all decorated in wood and tartan-wool lined walls – it is a delightful place where to stay. A new spa has magnificent views of the Omeshorn, the typical peak you see in Lech. The spa has an in-out pool, sauna with a window with a lovely view, jacuzzi, hammam, lots of relaxing areas and massage rooms. Gasthof Post Lech – Photo Herbert Lehmann – The Must-Read Guide to Lech. 32 years old Tyrolian David Wagger is in charge of the cuisine. The Wiener Schnitzel of the Post is the best considered outside the Austrian capital. Also, the Beef Tartare is renown. A room in the Gasthof Lech. The Must-Read Guide to Lech. The inviting pool at the Gasthof Lech. The Must-Read Guide to Lech. Kristiana Lech – the luxurious house of Gertrud Schneider it will always surprise you. Tuck a bit out of the hustle and bustle, overlooking Lech village, with only 29 rooms and suites, a lovely décor, nothing is too much for your host to offer if you stay there. Kristiana Lech- Your home away from home with all the details to make the most of your ski holiday. Photo: Kristiana Lodge. The Must-Read Guide to Lech. the Kristiana Restaurant offers traditional Austrian dishes, fused with contemporary lounge music. Kaminzimmer offers a warm, cozy settling with a wood-burning fireplace, offering Fondue specialties and Raclette, and for later in the night, you can get one of the finest cigars, cognacs, brandies and whiskies while watching the magnificent white landscape outside. The Lobby Lounge “Kleine Halle” is a relaxed meeting place for a casual coffee, breakfast in the morning or après ski cocoa or elegant dinner in lounge style in the evening. Kristiana Lech- enjoy a cuppa with magnificent views outside. The Must-Read Guide to Lech. Rote Bar- a bar for getting an elaborated cocktail or a small taster from the hotel’s cuisine. A Steinway grand piano accompanies the afternoons and the views of the “Rote Wand” mountain fill the ambiance. Terrace: get wrapped in down covers on the deckchairs to enjoy the sunshine and a leisurely lunch, drink, tea or coffee on a magical setting – usually from February until after Easter is the place to be! An inviting setting where to let yourself drop after a tiring day in the slopes. Kristiana Lech. Photo: Kristiana Lech. The Must-Read Guide to Lech. Hotel Arlberg– An impressive 5 stars hotel, also on the main street, just across form the Gasthof Post Lech – lovely décor, the place chosen by Lady Diana when she was alive, and I can understand why! Lots of wood and lovely furnishing decorates its interior – it is a place you will not want to leave to go skiing as it is so nice. It is connected with the Strolz rental shop – the one that looks like a 5 stars hotel-, by a tunnel and then you are off and on the slopes. Hotel Arlberg exterior – Photo Alex Kaiser. The Must-Read Guide to Lech. 51 rooms and suites from chalet chic designer dens to textured Alpine luxury. The restaurant serves breakfast and dinner. Chef Patrick Tober is in charge of the culinary delights this hotel has to offer. Hotel Arlberg- The Must-Read Guide to Lech. Italian restaurant La Fenice offers an evening option with “mare” and “monte”. The Walser “Stube” offers Austrian specialties and Fondue in a cozy ambiance. The other food and beverage options are the Bar and Lounge, and outside Terrace and the wine cellar. Hotel Arlberg Pool with Teebar – Photo: Hotel Arlberg. The Must-Read Guide to Lech. The spa has various treatment rooms, an indoor pool, a spacious sauna and steam area, a yoga studio and gym and several relax lounges. Hotel Arlberg Superior Double Room. Photo: Hotel Arlberg. The Must-Read Guide to Lech. Hotel & Chalet Aurelio – a 5* Superior hotel, located a bit up from the main road, it has a chalet ambiance. It just was awarded “The World ‘s Best Ski Boutique Hotel 2018”. Aurelio Chalet’s living room. Photo: Aurelio Hotel and Chalet. The Must-Read Guide to Lech. The hotel has rustic chic wood panelled rooms with lovely balconies towards the mountains. The hotel is connected to the Chalet, that can be rented up on its own for up to 16 people. Hotel Aurelio double room. Photo: Hotel Aurelio- The Must-Read Guide to Lech. The thermal suite features sauna cabins, aroma salt steam rooms, herbal baths, vital sensory showers, cooling down experiences, a snow atrium, relaxing areas and a vitality bar stocked with fresh fruits, teas, and healthy snacks. There is also a fitness area and an indoor swimming pool of 23 meters. The pool at the Aurelio Lech. Photo: Aurelio Lech. The Must-Read Guide to Lech. The Chef de Cuisine Christian Rescher and Markus Niederwanger have been awarded 17 points Gault Millau. The restaurant Aurelio’s offers lunch dishes or a little snack in the restaurant or the sun terrace. The Gourmet Restaurant Aurelio’s offers an à la carte menu of traditional and modern Austrian and International dishes. The sun terrace offers lunch and drinks with stunning views of the mountains. Almhof Schneider – opened since 1929. Its owner, Gerold Schneider, a fourth-generation hotelier is in all the details. Sophisticated décor, wood-panelled rooms and Alpine charm oozes everywhere. With a new spa reopening this season, using bush hammered and sanded Austrian limestone in all water-exposed areas. The dry areas are made of oak: floors, ceilings and walls. The Spa has a palestra and a gym- a fitness room and a room for yoga, Pilates, etc, and a relaxation space with a crackling fire. The big table at the Almhof Schneider – I love the little pictures in the background. Photo: Almhof Schneider. The Must-Read Guide to Lech. A smoker’s and billiard lounge with low-lit atmospheric lighting; a library which can be used as a meeting room; a cinema in the ground floor; a state-of-the-art children care and playrooms for teenagers; this is heaven for those families that want to be sure that their little and not-so little ones are well-cared for in a safe environment. Kids can eat in the library at the end of their day and not have to stay still during their parents’ long dinners. The new spa at the Almhof Schneider. Photo: Almhof Schneider. The Must-Read Guide to Lech. The vinotheque has more than 25,000 bottles of European wines, curated by Josef, Almhof’s longtime head sommelier and “Sommelier of the Year 2018” (Gault Millau). A double room at the Almhof Schneider. Photo: Almhof Schneider. The Must-Read Guide to Lech. Burg Vital Resort – a 5* Superior hotel located in Oberlech focused in the wellbeing and nutrition of its guests. Rooms and suites are furnished with natural materials and with great attention to detail. Wood paneling walls with lovely soft furnishings are found all over the hotel. The Burg Vital in Oberlech. The Must-Read Guide to Lech. Executive Chef Thorsten Probost uses natural finished products, herbs and spices to combine a culinary trip with his precious knowledge of medical and nutritional science. A suite at the Burg Vital. The Must-Read Guide to Lech. Indoor and outdoor pools, a modern gym with state-of-the-art exercise machines, resting rooms, Finnish block sauna, herbal sauna, steam bath, Clay House, Open-air room, Sole Flotation tank and Himalayan soft sauna are some of the things you can enjoy in this magnificent spa. The terrace at the Burg Vital. The Must-Read Guide to Lech. Romantik Hotel “Die Krone von Lech” – 5* – The hotel has been in the records since 1741, being a lodge for travelers tackling the then arduous route over the Arlberg. The Romantik Hotel di Krone von Lech is very well located next to the ski slopes. The Must-Read Guide to Lech. The Pfefferkorn family has been running this hotel for five generations. Its location ski in/out is great and it’s one of the après-ski special points for all those who want to see and be seen having a great time and sharing their anecdotes of the slopes. A spa of 1200 m2 offers a pool, sauna area, gym and superb treatments. The reception area at the Romantik Hotel die Krone von Lech invites you to lounge. The Must-Read Guide to Lech. There is a choice of three restaurants – the Panorama Restaurant (for hotel guests only); the à la carte restaurant “Der Runde Saal” and the Krone Stuben. There is also a Café Terrace, an Ice Bar, a bar, a Cigar lounge and a wine cellar. The hotel’s gastronomy has been awarded 2 Gault Millau toques, 3 stars, 85 points in the à la Carte Gourmet Guide and 3 forks and 92 points in the Falstaff Gourmet Guide. One of the modernised rooms at the Romantik Hotel Die Krone von Lech. The Must-Read Guide to Lech. Rooms with nice classic décor, some with views to the pistes, and some have been refurbished looking a bit more modern cozy-chic style. Hotel Montana Oberlech – a 4* Superior from former ski racer and champion Patrick Ortlieb and his family in the sunny plateau of Oberlech. It is a favorite for families that choose it for its ski in/out location and the easiness of having everything at your feet. The exterior of the Montana Oberlech. The Must-Read Guide to Lech. 47 Cozy rooms and suites and also a chalet 20 meters away connected to the hotel that offers spacious hotel apartments. A lounge area and bar are the place where to have an aperitif. The sun terrace invites you to lounge in the sun and have a long lunch to recover your legs before going back to ski! A marvellous place for lunch, the terrace at the Montana Oberlech – The Must-Read Guide to Lech. The spa offers Sauna, Solarium, infrared cabin, salt steam bath, Kneipp (naturopathic) facility, a swimming pool, fitness room and massage. The hotel offers child care in the Oberlech Kinderland. A suite at the Montana Oberlech. The Must-Read Guide to Lech. Der Berghof – A 4* Superior hotel located tucked in just off the main road in Lech, with amazing views of the Omeshorn – this hotel has a very renown bar – which serves out-of-the-box drinks with a kick, and an excellent restaurant under the eye of Chef Gerhard Spanring. There is also the quaint “Berghof-Stuebe”, the Sun Terrace and the Lounge. Der Berghof- Berghofstüble. The Must-Read Guide to Lech. The hotel is a boutique hotel, under the supervision of Isabelle and Stefan Burger, with beautifully decorated rooms with lovely colour palettes, a state-of-the-art spa with biosauna, Finnish sauna, “Schwitzstube”, Steambath, Infrared cabin, cold water basin, footbath and a solarium. A room at Der Berghof Lech. The Must-Read Guide to Lech. It has a beginner’s surface lift next to the hotel for those taking their first steps on the snow. The-Ski-Guru TRAVEL can organise your bespoke trip to Lech, and all other locations, including booking your Eurotunnel trip, lodging, lift tickets, rentals, ski school, and all you need for an excellent vacation. Go to https://www.the-ski-guru.com/traveland upload your information – this page will be updated soon with more travel ideas. You can start thinking about your trip, by reading the articles on the Planning your Ski Trip tab. Or how to pack for your family ski trip. If taking your furry friend abroad to the continent, read about the new Pet Travel Scheme update from DEFRA. Or our last news on equipment as seen at the London Ski Show. Also, the new range of skis of Black Crows, one of our favourite brands. Lots of snow makes you wonder how the resorts deal with the avalanche danger. Here you can read the interview to Coco Torres, former Head of Operations of Las Leñas, in Argentina, as how they dealt with avalanches at the resort. Or perhaps you may choose to read the Ski Resort News, Ski Passes News, and the Must-Read Guides to Zermatt, Courmayeur, Val di Fiemme and Crans-Montana. Coming soon will be the guide to St Anton. Or watch an amazing heli flight over the Mont Blanc Massif. Also see tips on how not to be scammed when booking a ski chalet. You can also read what’s new at Les Trois Vallées and the last article on what is new at the Tirol ski areas, in 3 Zinnen Dolomites , in Adelboden, Lenk and Kandertal, in Gstaad, in Chamonix, in Georgia’s Gudauri Resort and in the Skicircus Saalbach Hinterglemm Leogang Fieberbrunn. And how the US Ski Team has chosen Alpe Cimbra to train for the following four ski seasons as their European home. And Saalbach is getting ready for the Ski World Cup. Or check how Cairngorm Mountain might not run its funicular this coming season and how that can affect the region. And the terrible storms and gails that provoked havoc to Trentino Alto-Adige and Belluno provinces in Northern Italy. Lech Zürs am Arlberg Stubenbach by Sepp Mallaun. Lech Zürs Tourism Office. The Must-Read Guide to Lech. Thankfully Val di Fassa is ready for opening December 6 as stated here. And the roof of the Rifugio Comici has been fixed in no time and is ready for the start of the ski season in Val Gardena on 6th December. Sudtirol ski areas are ready to start soon and their famous Christmas markets will kick off too. And Cortina D’Ampezzo is getting ready for this winter and the 2021 World Ski Championships. Also, you can read how Grandvalira will be staying together as one lift ticket company and how they are adding Ordino Arcalis to this offer. And also read how someone tried to sabotage some lifts in Vallnord’s Pal Arinsal. Or read about the latest investments in Whistler Blackcomb. Or see how Taos is going against the industry trend, and instead of merging with the two biggest oligopolies in skiing at the moment, it goes and buys an airline to get more bums in resort. Or how Jackson Hole is appealing to families and beginners – it is not only a resort for expert skiers anymore. 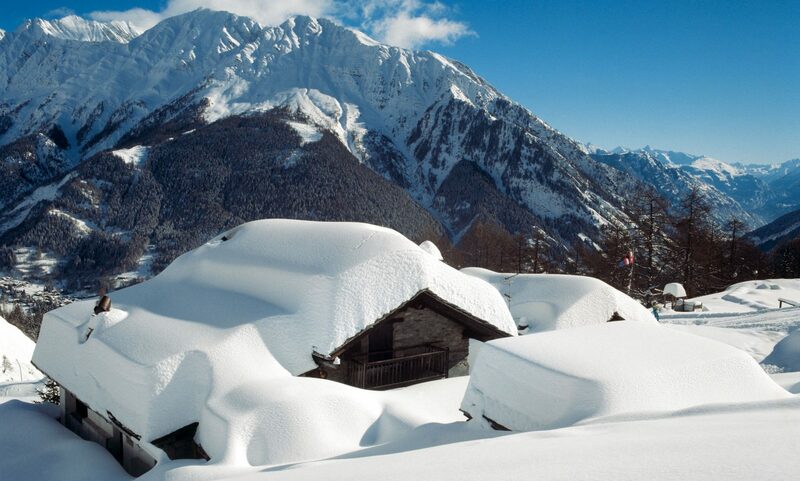 Another great area for families is Stubaital in the Tirol. Or read how a group of experienced industry insiders got together to purchase Tamarack Resort. Lech-Zürs am Arlberg Trittkofpbahn – Photo by Sepp Mallaun. Lech Zürs Tourismus. The Must-Read Guide to Lech. If you want to salivate and think of snow, see our snow report from last weekend here. Or see how Aspen Snowmass has started its snowmaking operation. Aspen Mountain has already opened, as well as Snowmass Mountain has opened on Thanksgiving day. Sierra Nevada has also opened this weekend with the best snow base ever in its history. Featured Image: Lech Zürs Tourism – Arlberg. Photo by Sepp Mallaun. Must-Read Guide to Lech. Previous PostPrevious Sierra Nevada opens this Saturday 24th November, one week earlier than stipulated.